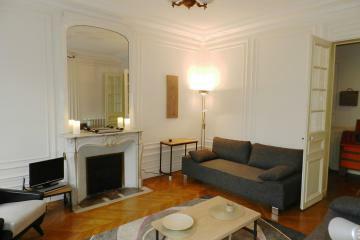 Time to relax after a photo safari in the City of lights ! 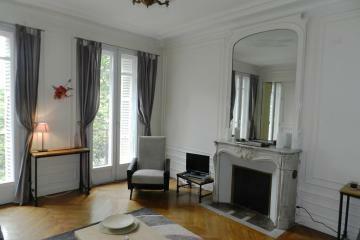 Paris Lodge Grands Augustins is waiting for you. 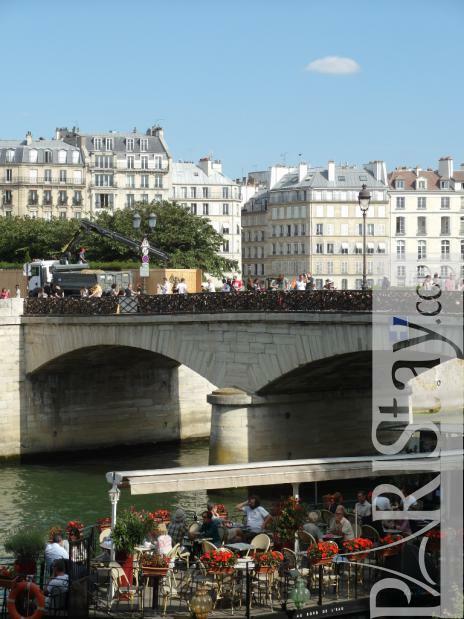 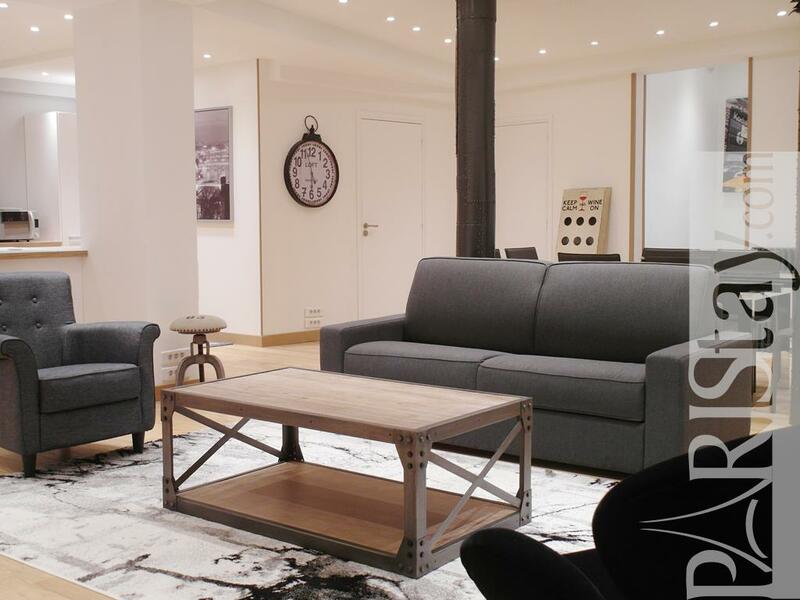 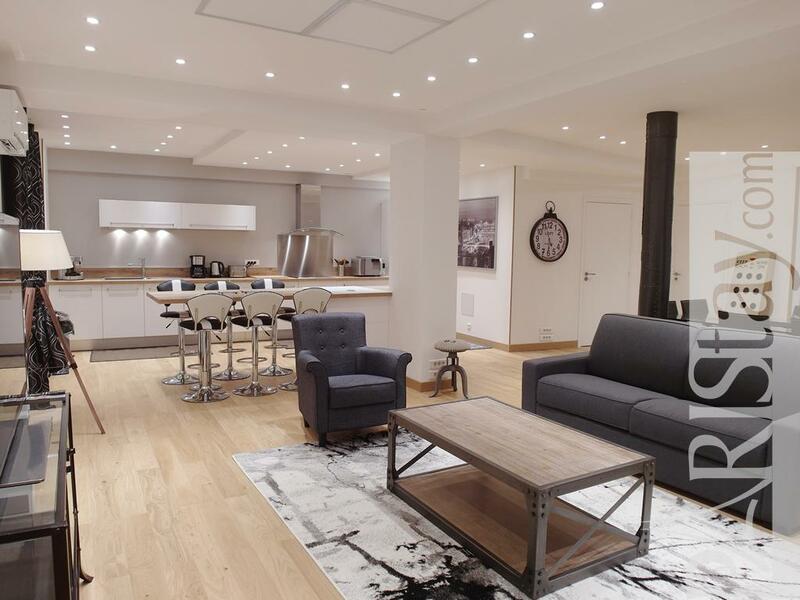 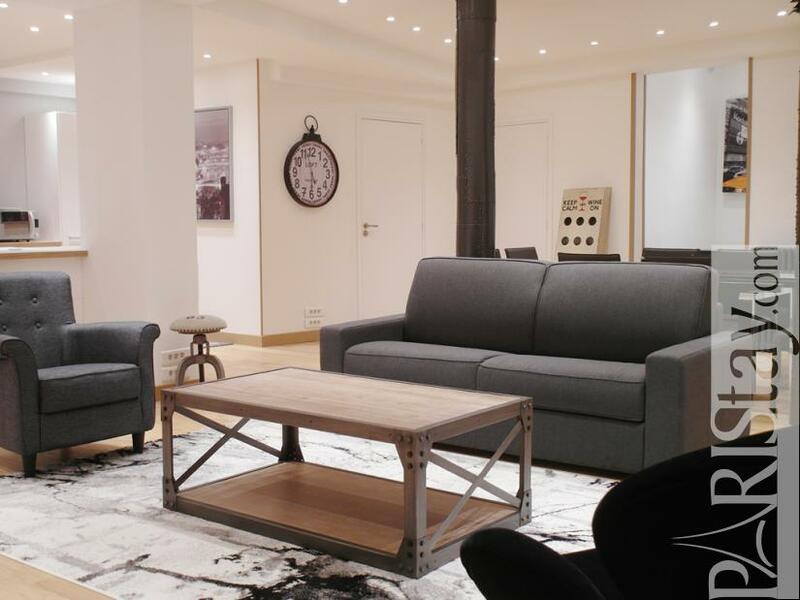 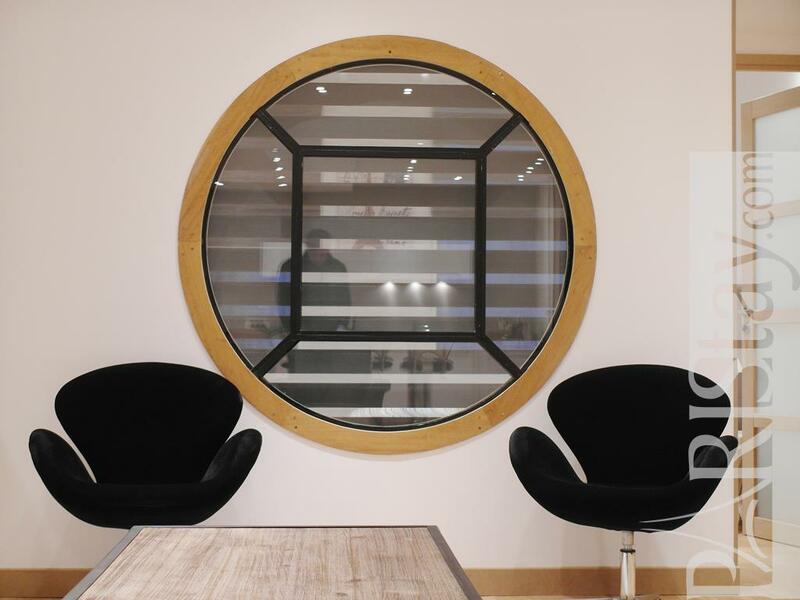 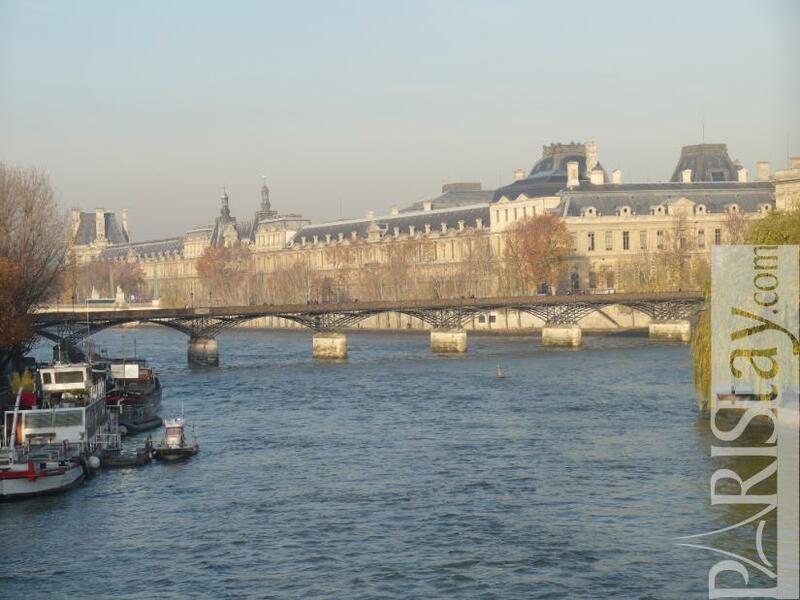 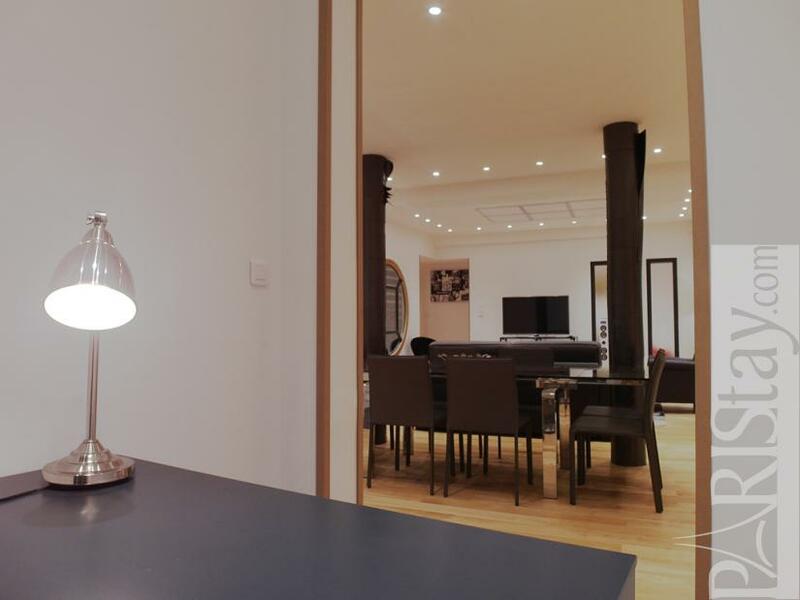 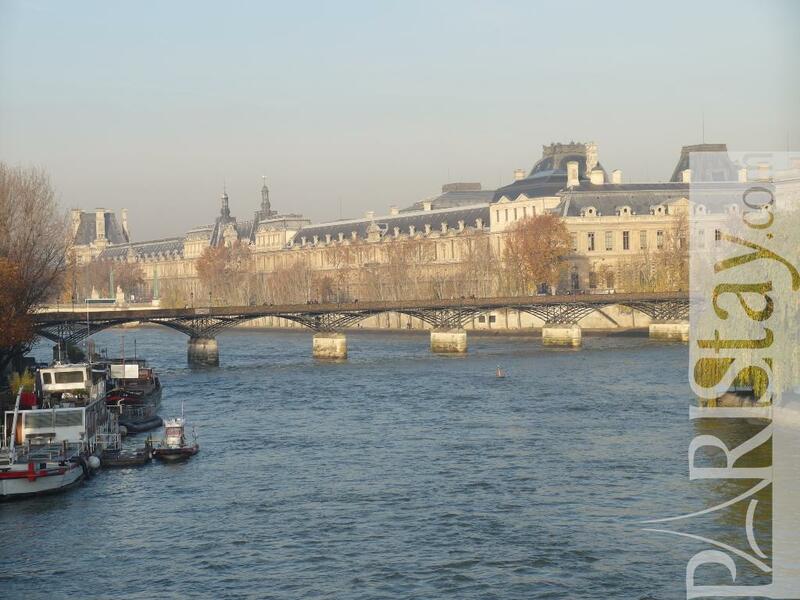 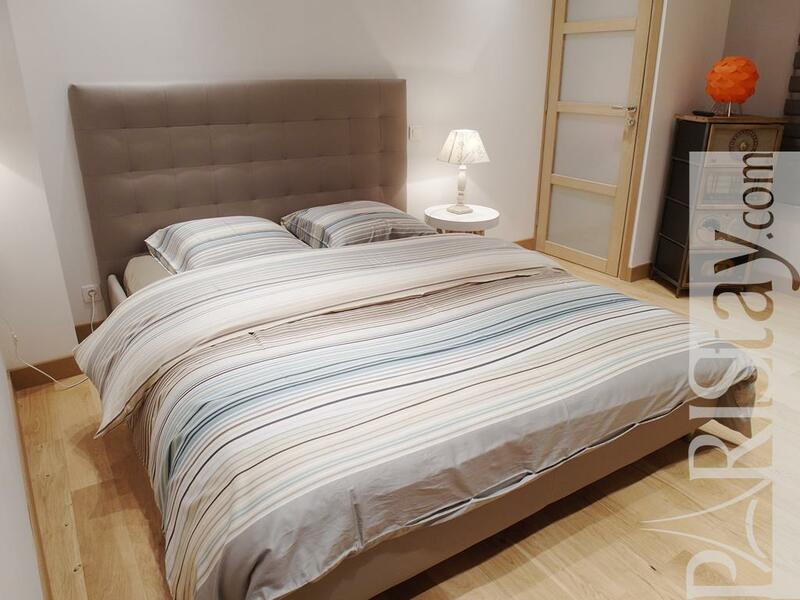 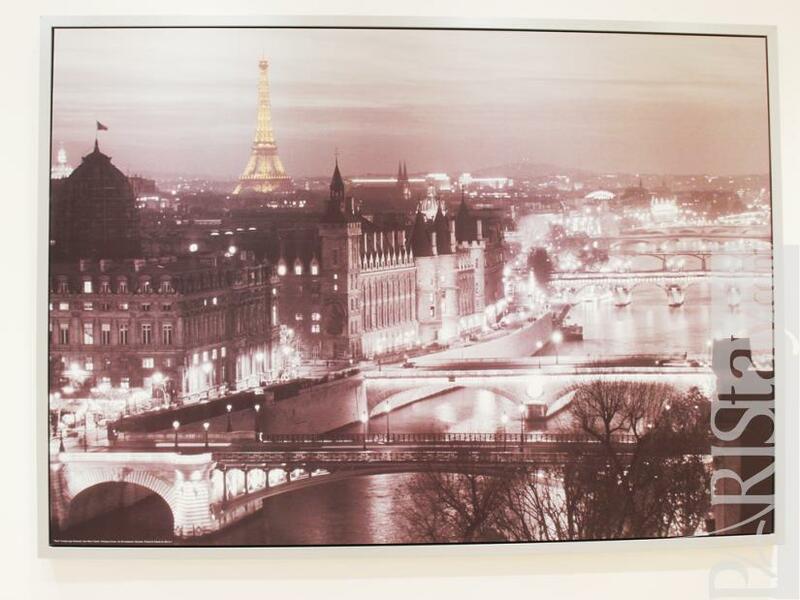 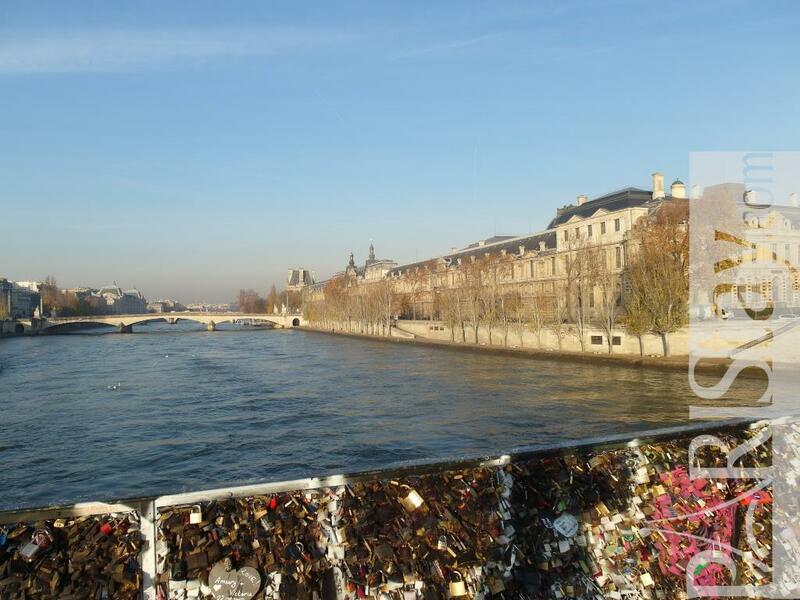 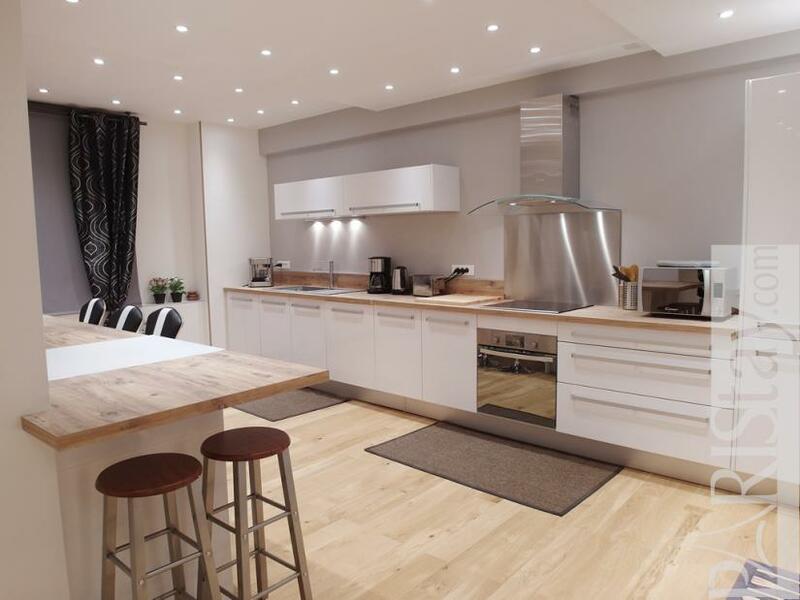 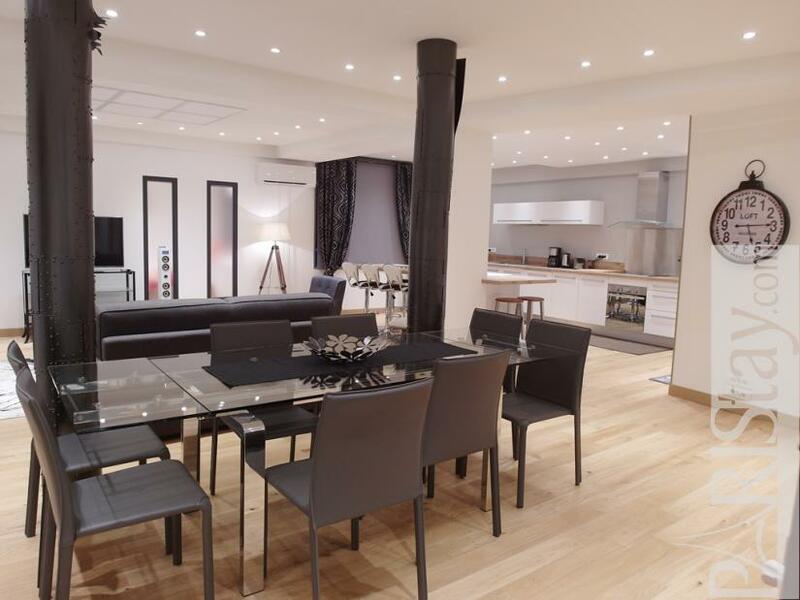 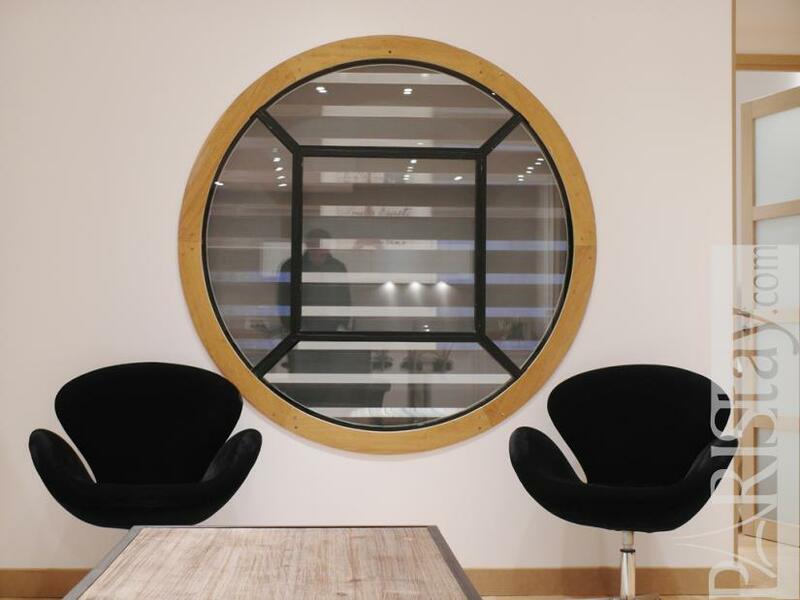 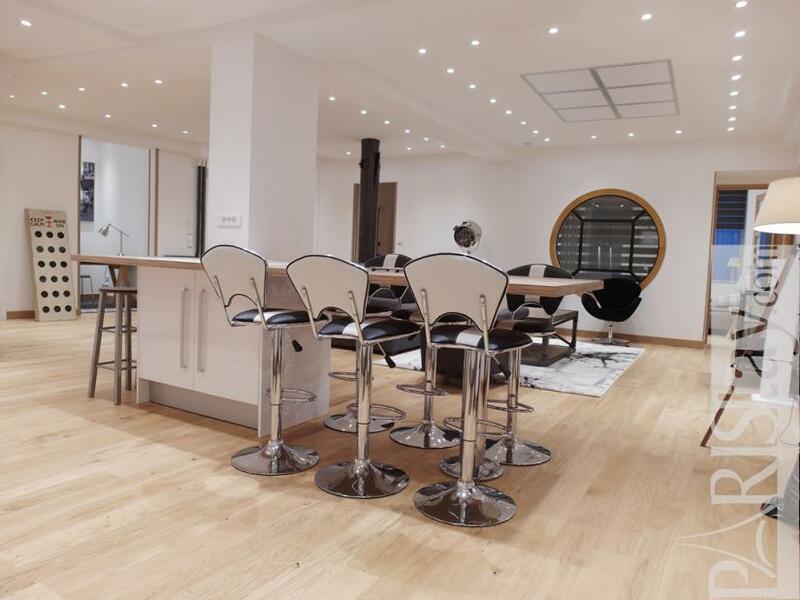 This luxury flat / 3 Bedroom apartment for rent in Paris, is perfectly located along the river Seine, close to the most famous historical and cultural places : Saint Germain des prés, Notre Dame de Paris, Sainte Chapelle, Ile de la Cité, Ile Saint Louis, Latin Quarter. 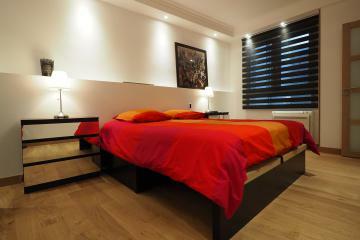 Easy walking distance to everything in town and convenient transportation links, as metro Saint Michel. 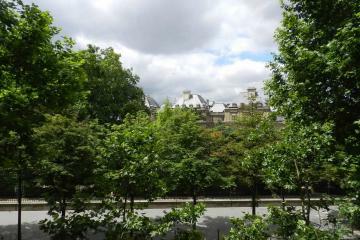 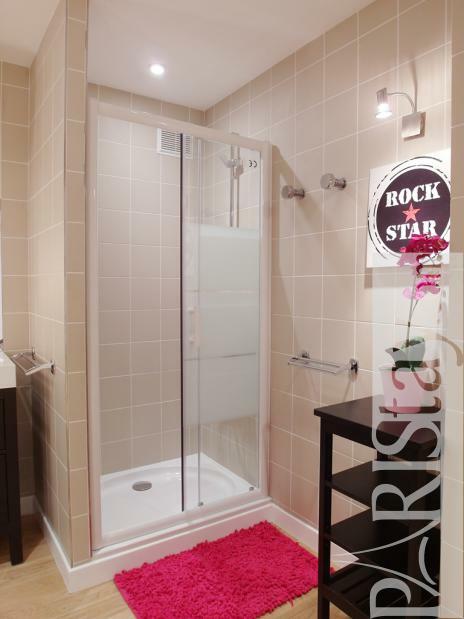 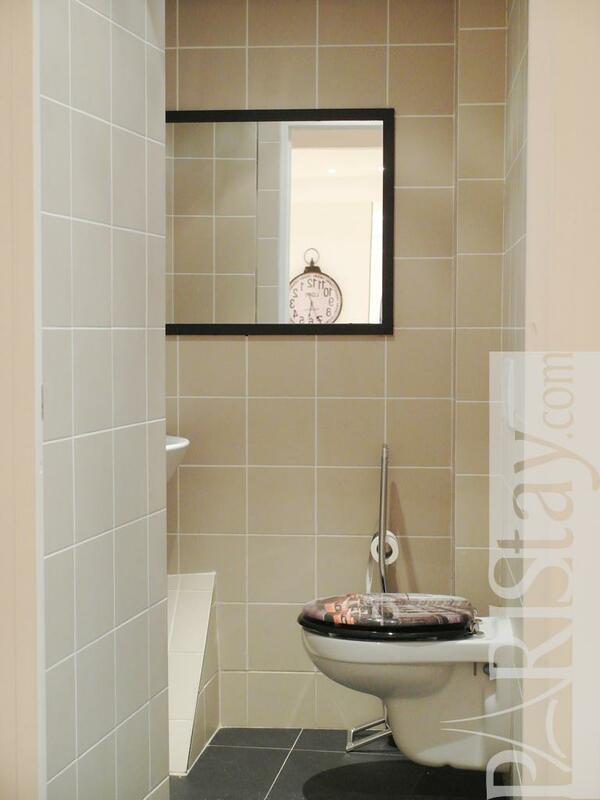 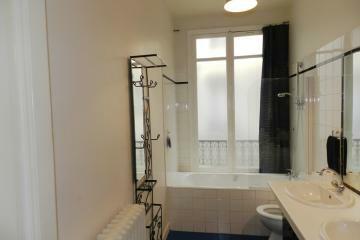 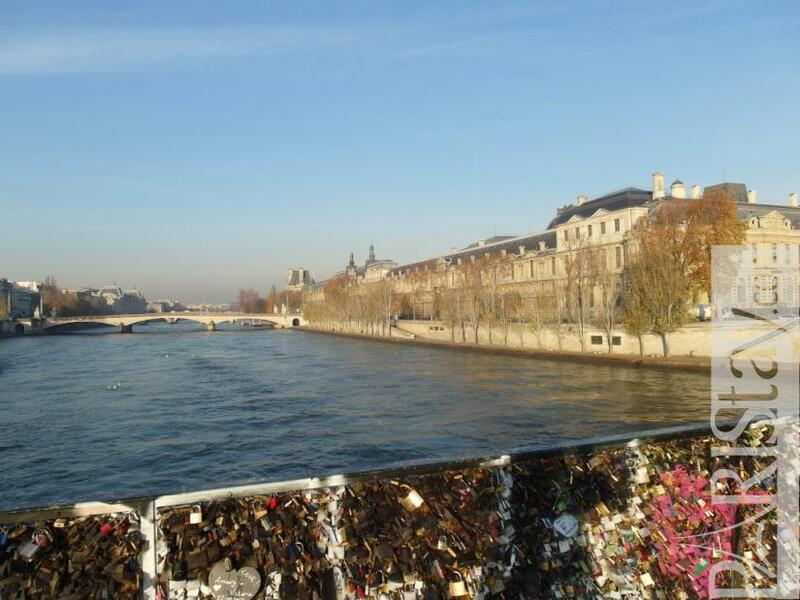 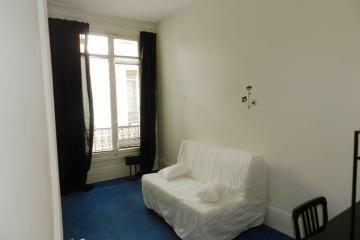 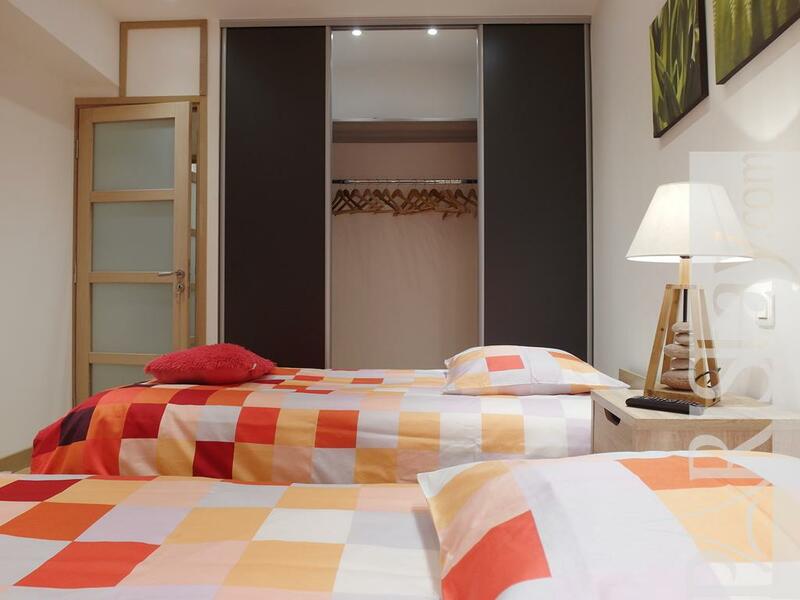 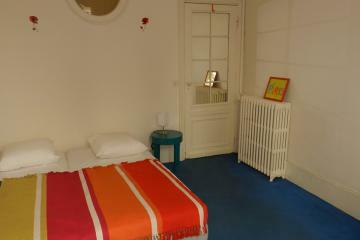 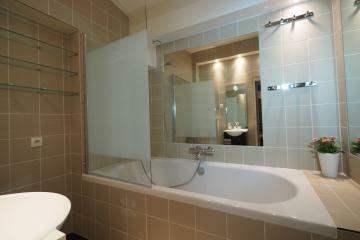 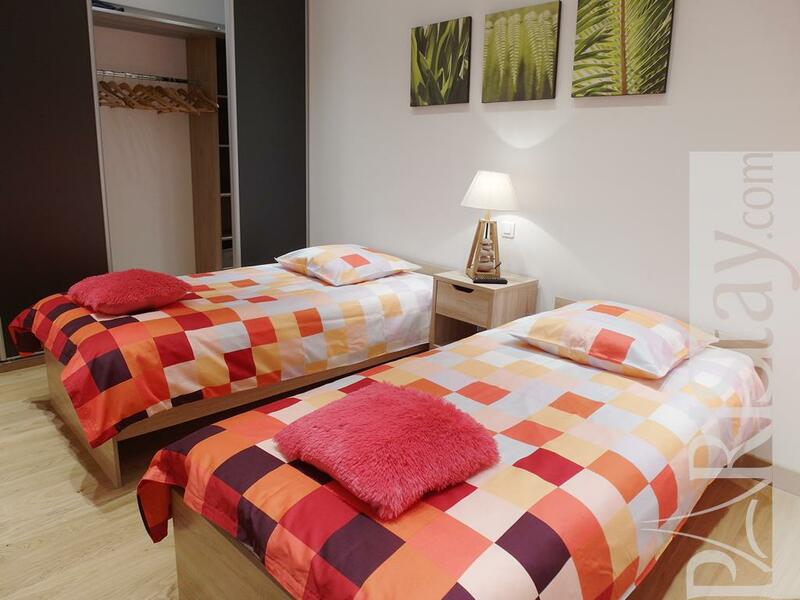 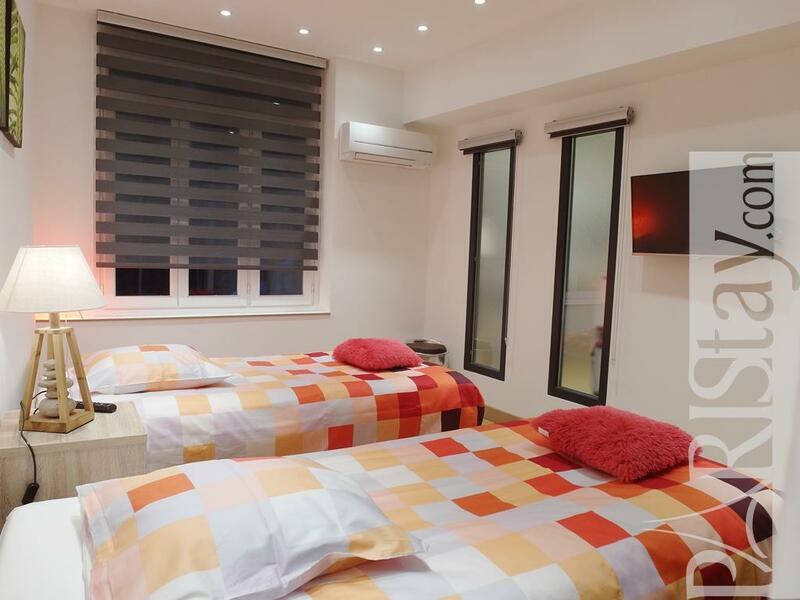 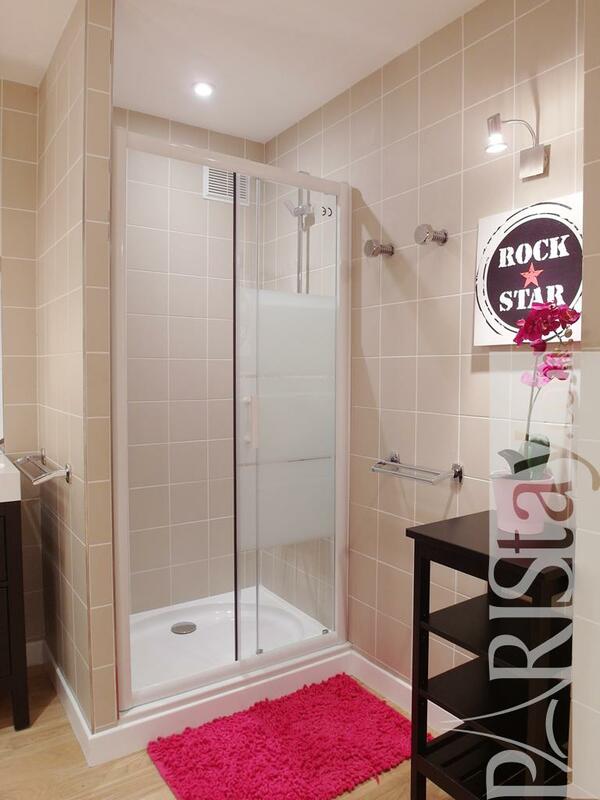 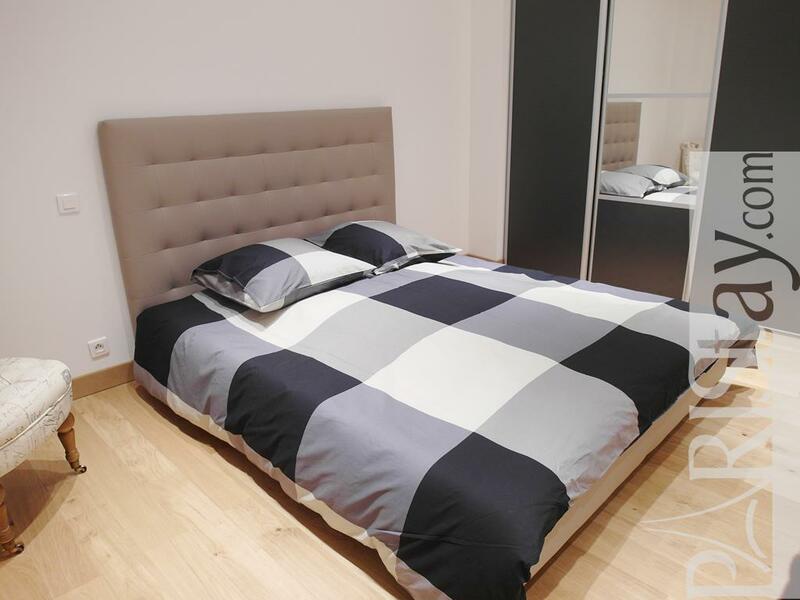 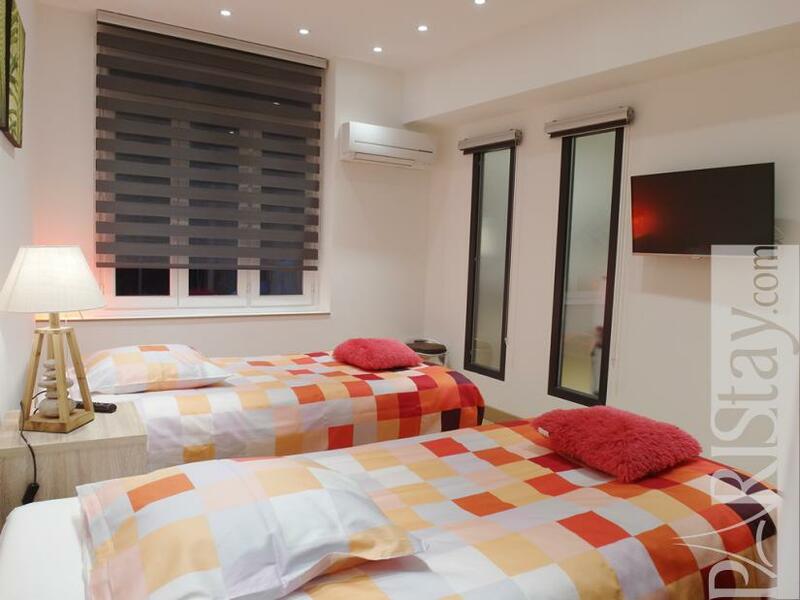 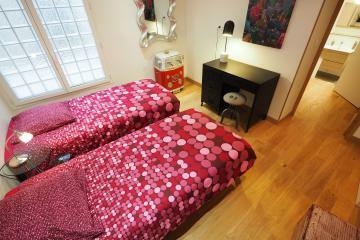 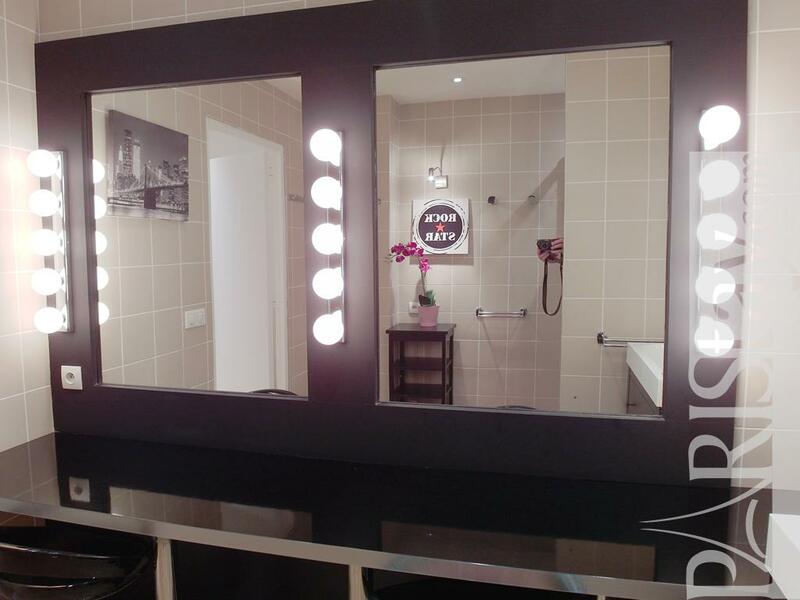 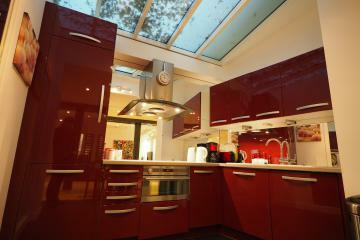 Sure, this is a perfect location for a vacation stay in Paris or for short term stay in Paris. 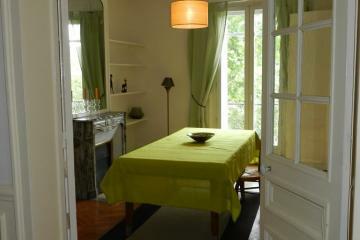 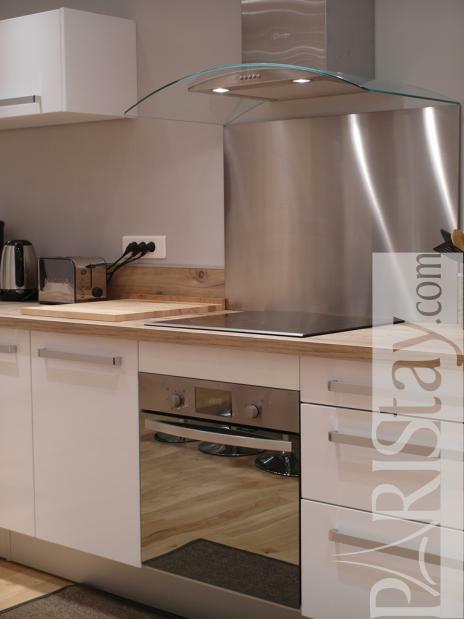 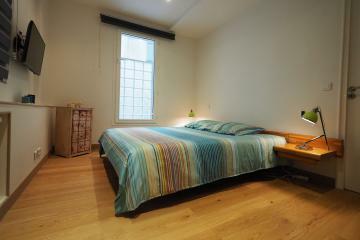 The apartment is situated in an authentic building facing the river, on 2nd floor with lift. 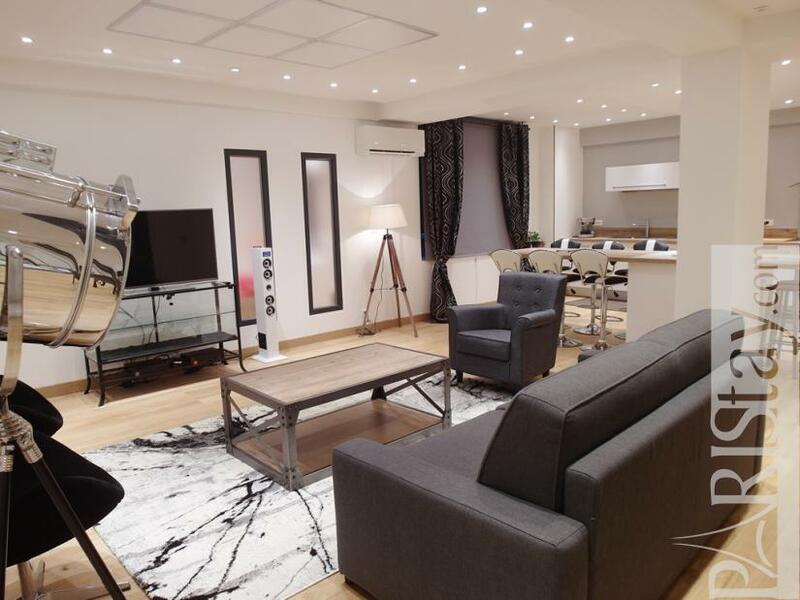 It has been totally renovated and designed by an architect who decided to optimize a plan based on 3 courtyards, and created a giant central room that desserves all the other rooms. 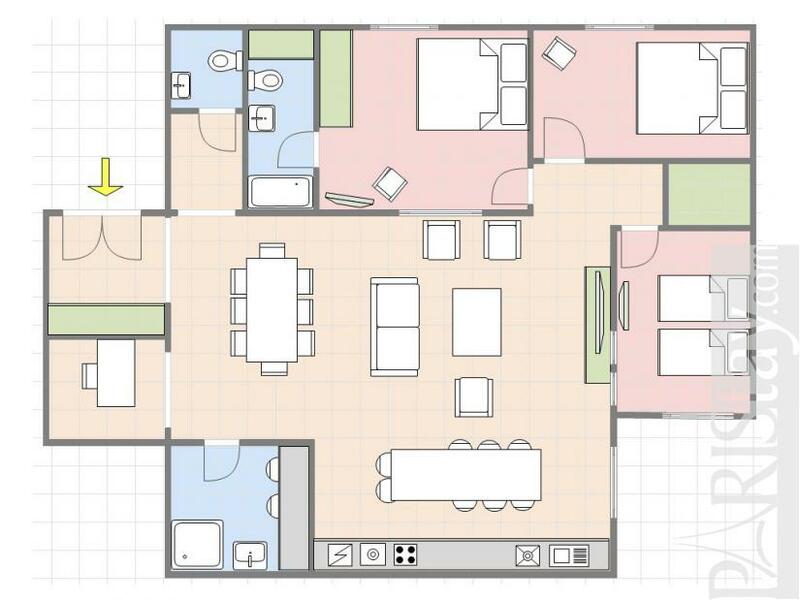 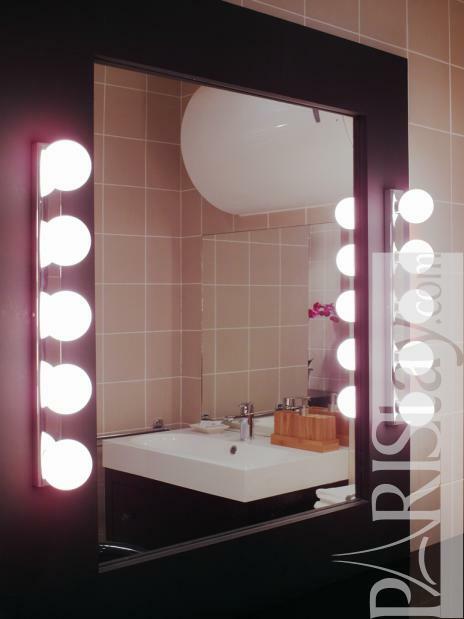 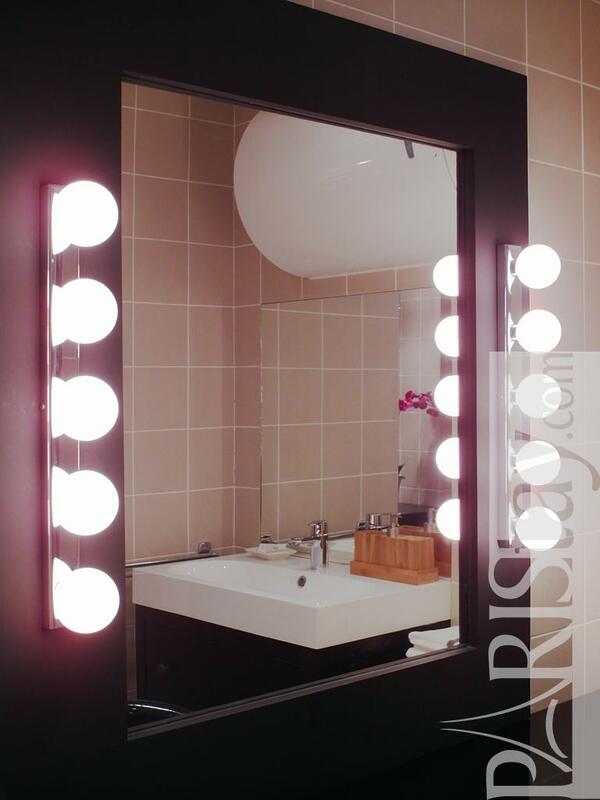 The result is amazing regarding to the natural brightness of the aparartment. 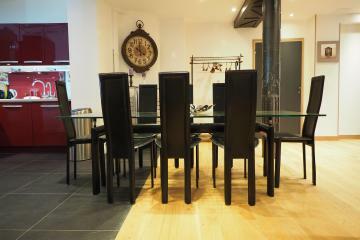 It's spacious, clever, convenient and may now welcomes until 8 people. 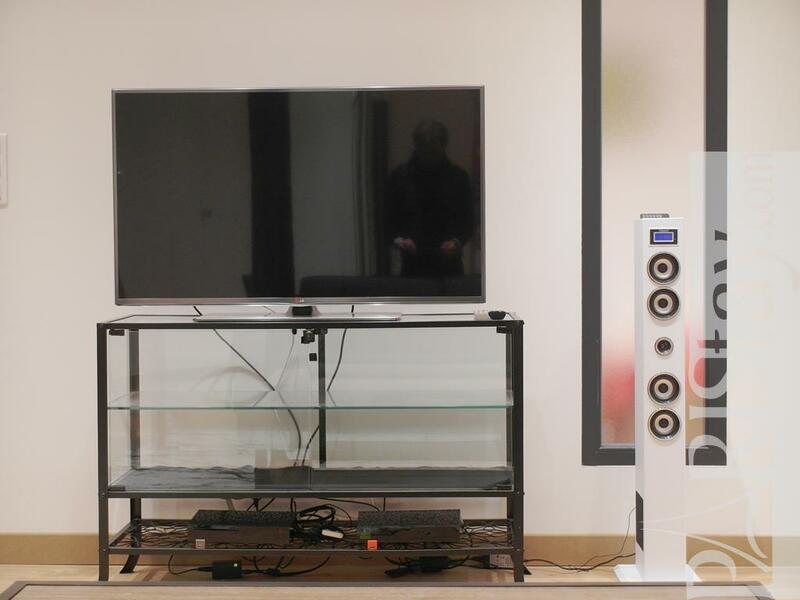 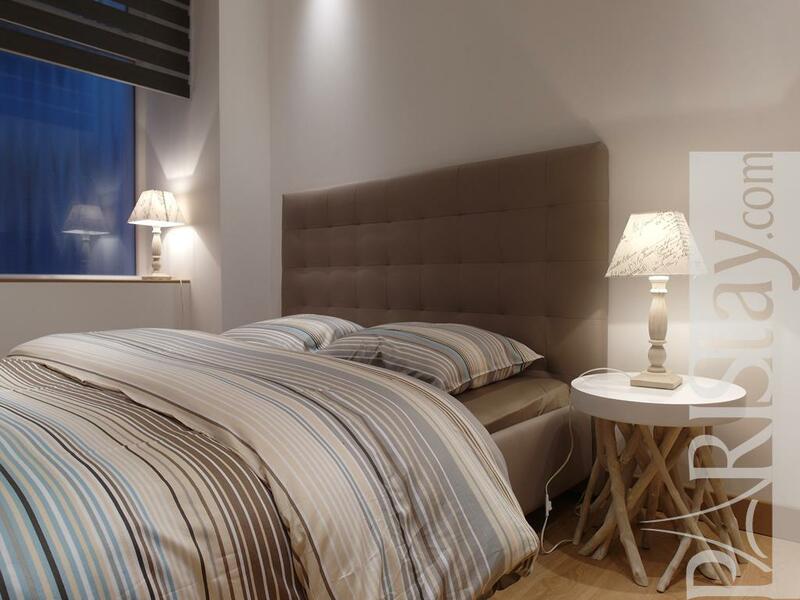 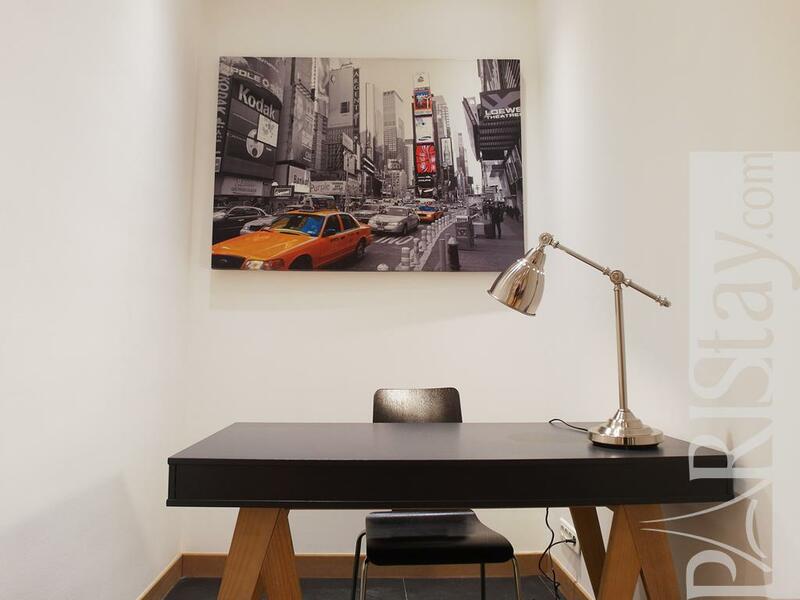 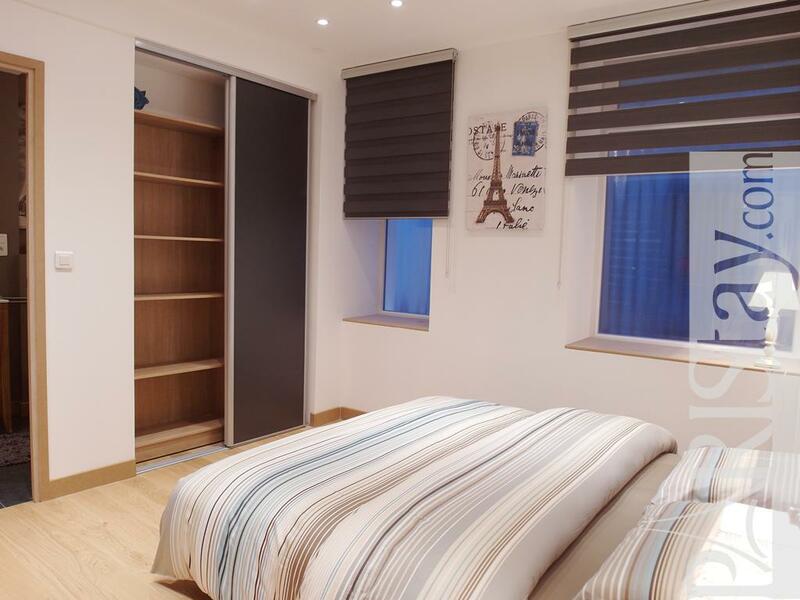 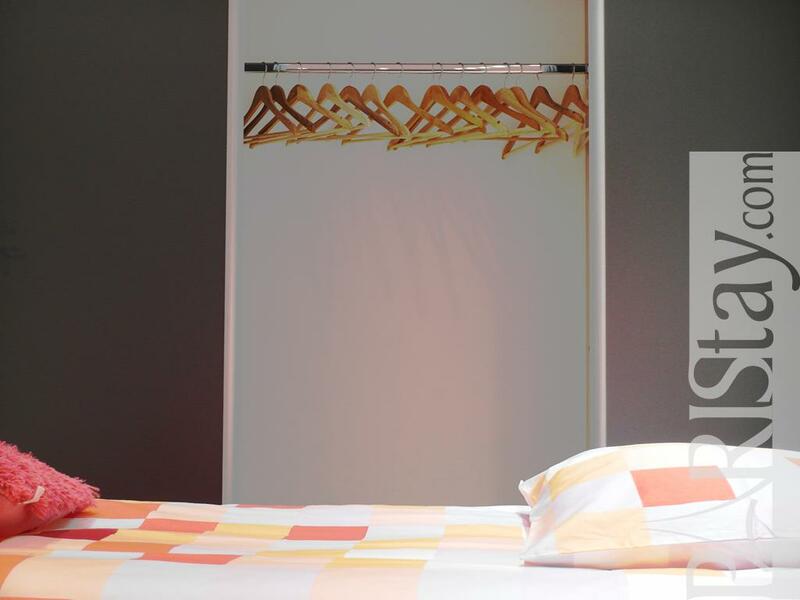 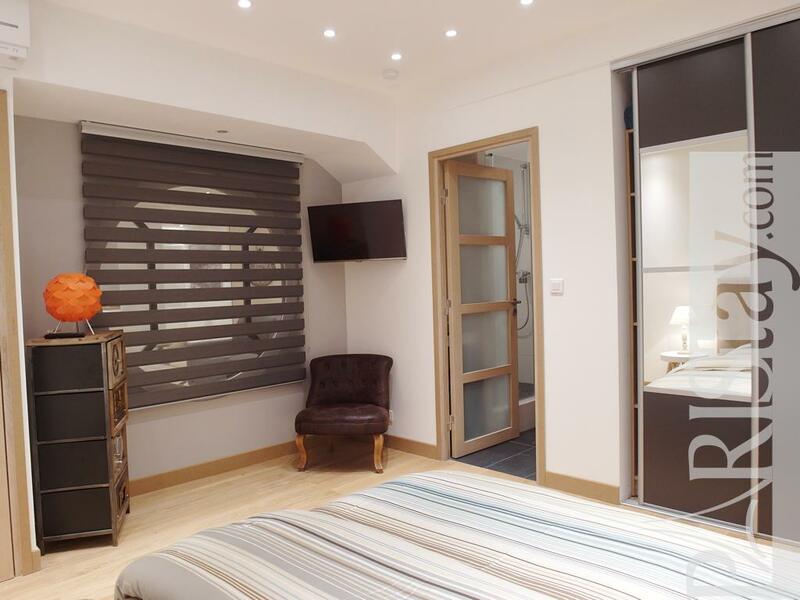 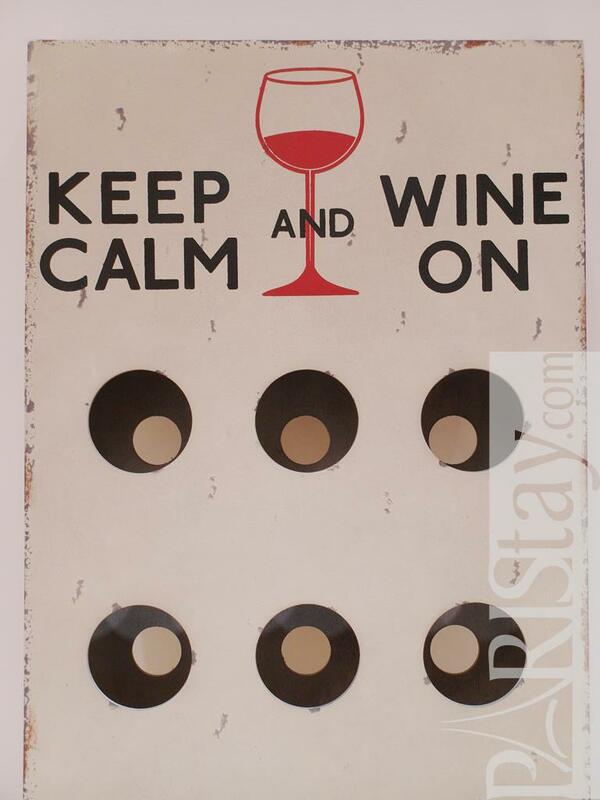 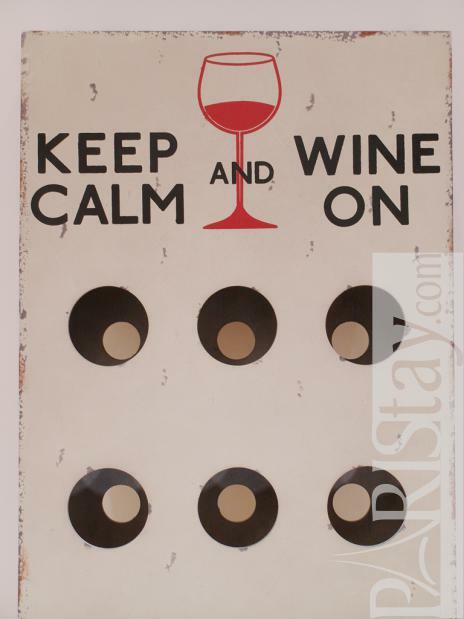 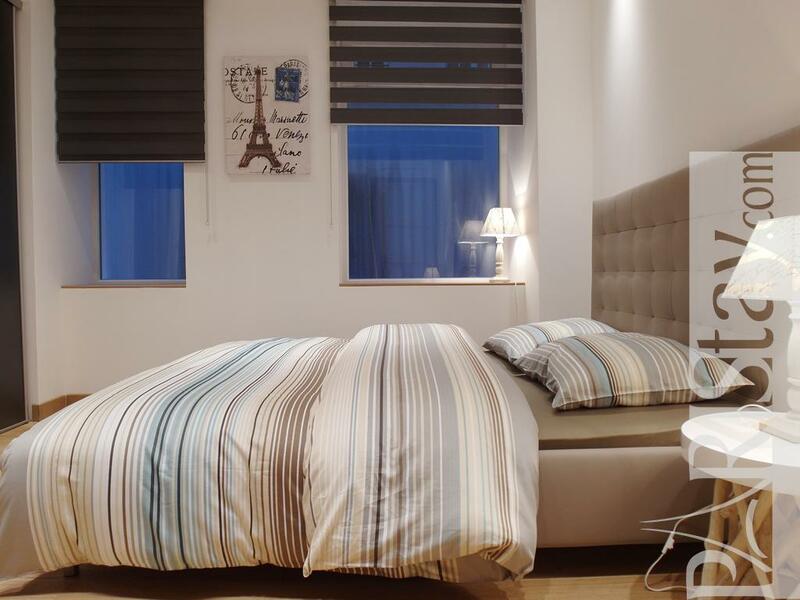 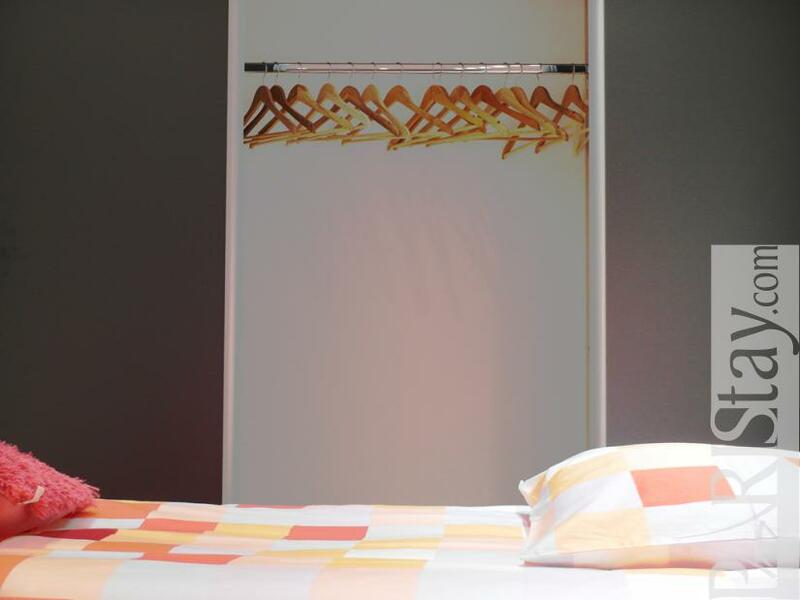 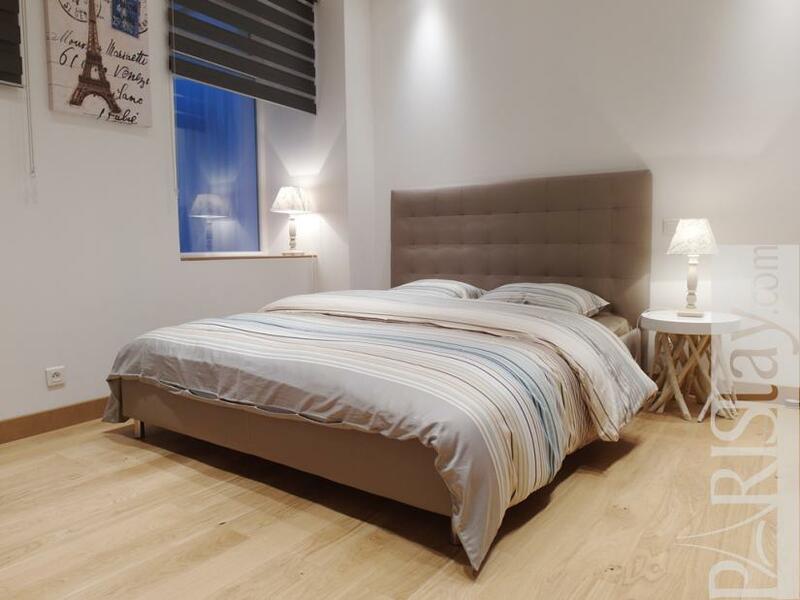 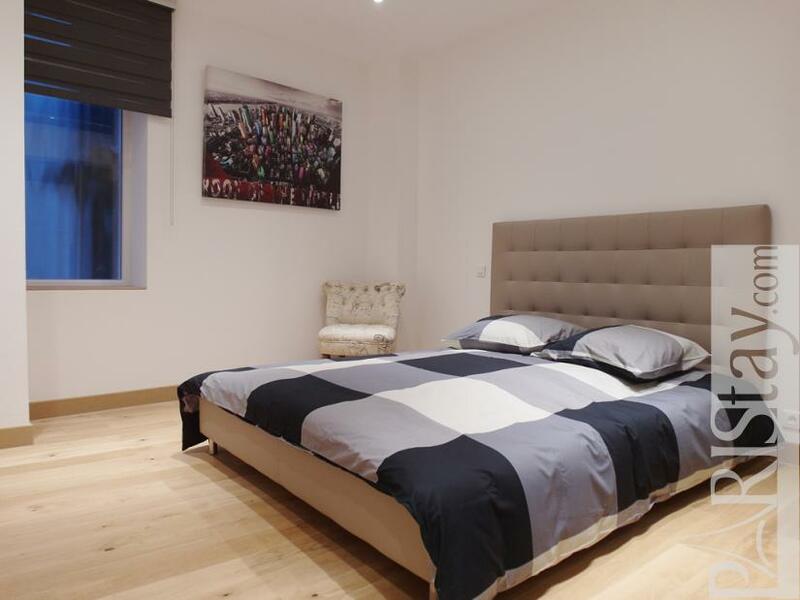 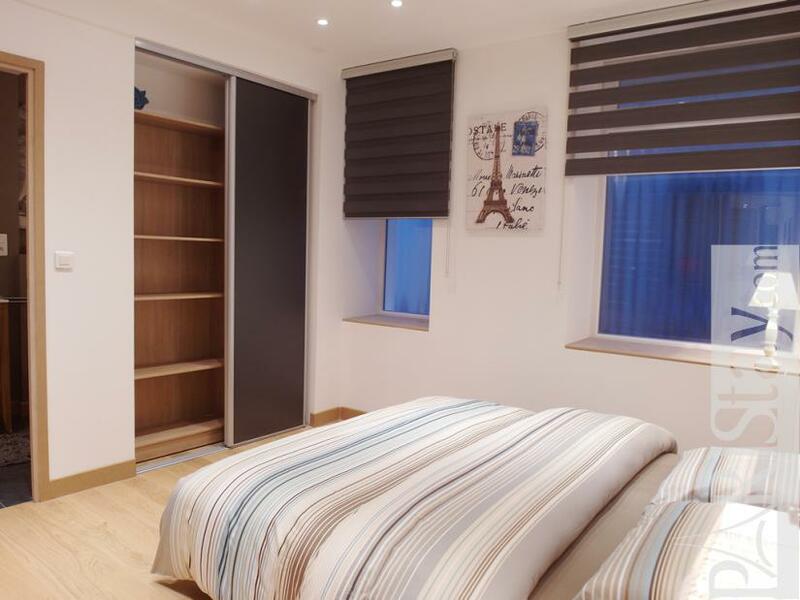 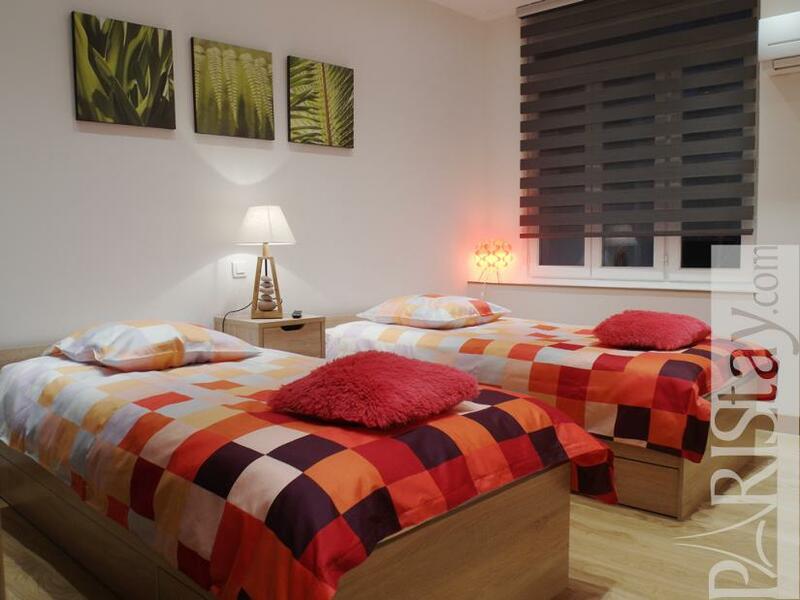 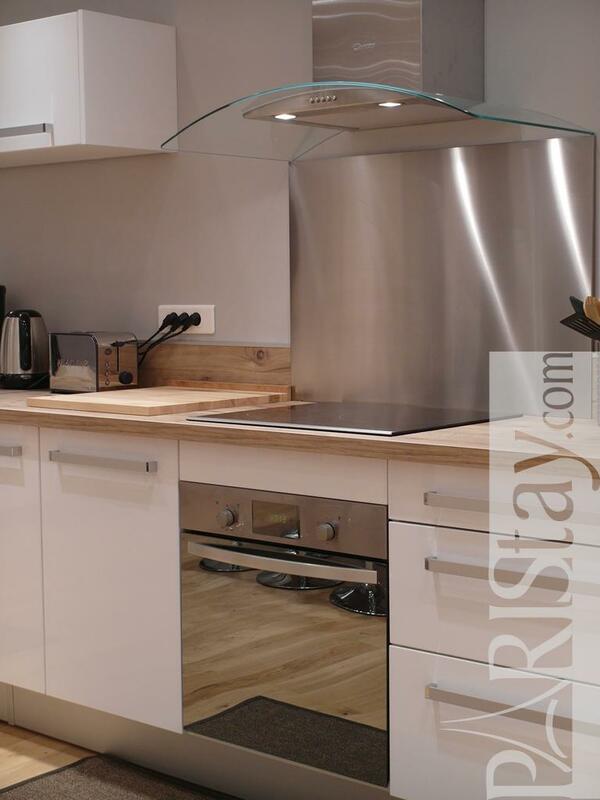 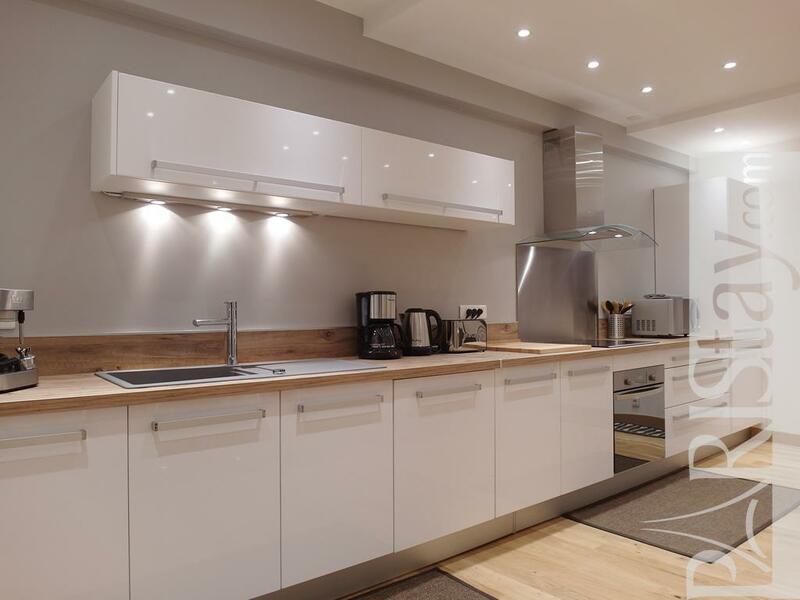 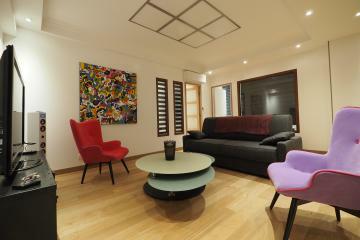 The flat has been tastefully decorated in a contemporary/luxury spirit and offers quality equipement and furniture. 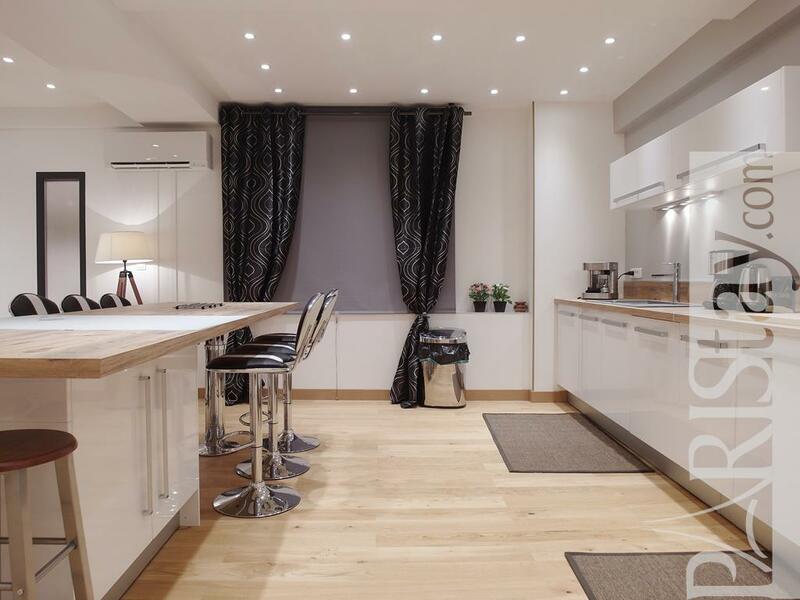 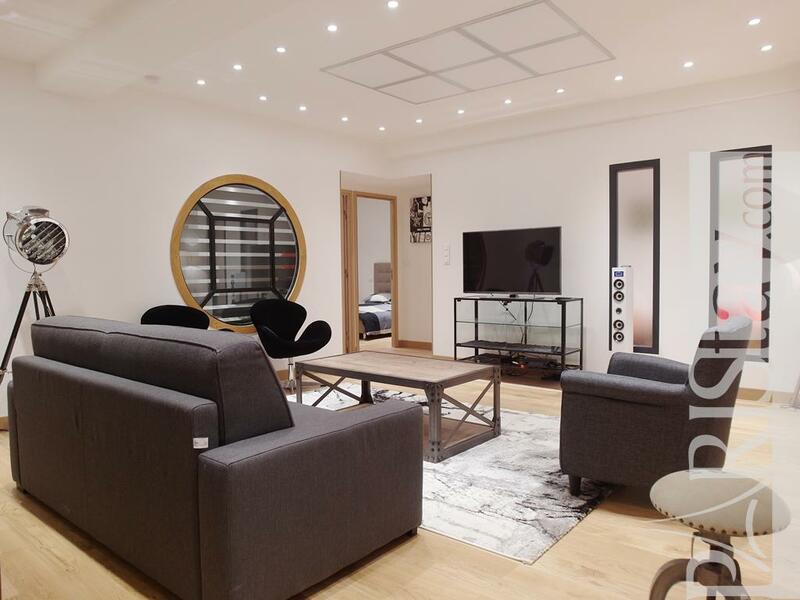 We love the friendly athmosphere of this flat, its giant central living room open to the kitchen with bar, the charming make up area in the bathroom. 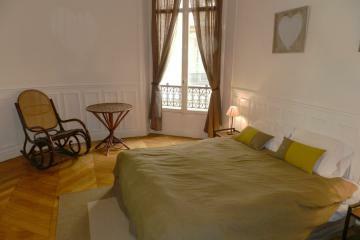 Lodge Grands Augustins is a must in Paris. 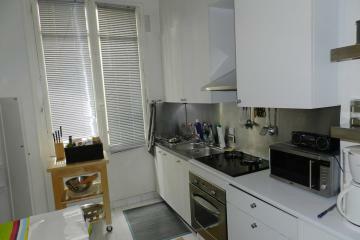 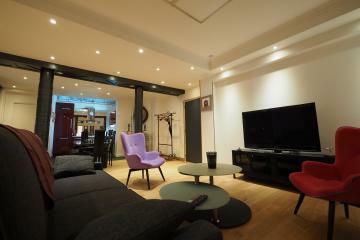 XVIII's Building, 2 nd floor, with Lift, 3 bedrooms Appartement, furnished, Approx: 128m² / 1376 Sq.Ft.